Deep rich black look with a shine-enhancing finish that won't break down your adhesive. This product highlights the depth and demension achieved with Base Black. A touch of holding power, exceptional coverage, a a semi-gloss finish. Is your animal in need of a paint that will help dry and maintain adhesive? How about one that has a consistent coverage, fine particles, and an even spray pattern? 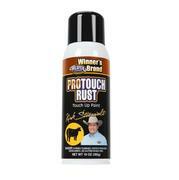 Well, Weaver has got your covered with this Rust touch up paint, which is perfect for red cattle breeds or those with a reddish cast. 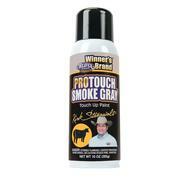 Match smokey greys from light to dark and dry your adhesives fast. 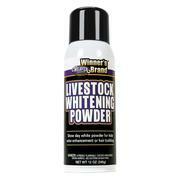 The fine particles help you enhance you grey cattle with consistent coverage from a single product. This touch up color won't undo your adhesive work and goes on with an even spray pattern. Accentuate the positives and draw the eye! The ProTouch White Powder Touch Up Paint adds fullness and dimension that will get your animal noticed in the ring. In addition to highlighting, this can be used in low light situations as a visual aid to help find areas that require additional fitting or clipping. 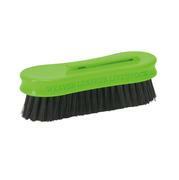 These brushes are a must have for show day and are popular for grooming and training cattle hair. They are made from rice root which is blended with synthetic bristles for durability. The wooden handles feature finger grooves for added comfort and functionality. Roto Brushes are designed to work with a rotating drill and can be used on the forward setting and the reverse. This makes it easy to work with hair growing in different directions and gives you more control and options during the process. Long and short bristles alternate by row, giving you the ability to reach deep while still working the surface. Use daily to train hair and to stimulate growth. Also great as a first step in show day fitting. Creates maximum definition by pulling up and separating leg hair. Get the fresh look and feel desired by Judges! This is a conditioning spray that moisturizes both the hair and the hide. Great show day product as well as an effective every day conditioner. Replinishes natural oils and is easy to apply. Protect your animal with leg wraps from Weaver LIvestock. 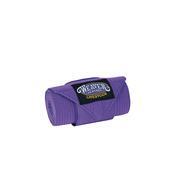 This product keeps legs free of bedding, debris, and feces while preventing pulling, picking, and biting at legs. Maintain a well-groomed appearance and keep the softness and managebility you have achieved. 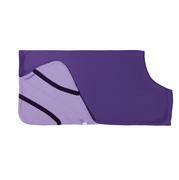 Comes with four 4 inch by 41 inch wraps and instructions for best practices and care. When slick shorn market lambs and goats need protection from the cold weather turn to Weavers Sheep and Goat Underblanket. This high quality fleece underblanket is designed to be used under an outer blanket and is machine washable. The elastic leg straps make getting it on and off easy, keeping your animal comfortable when putting it on and during wear. Layering provides superior warmth and this Weaver Livestock product will keep your animal comfortable and warm. 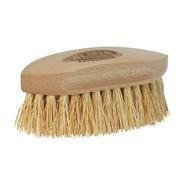 Made of soft hog hair, this brush is perfect for sensitive areas, sensitive hides, and even white pigs. 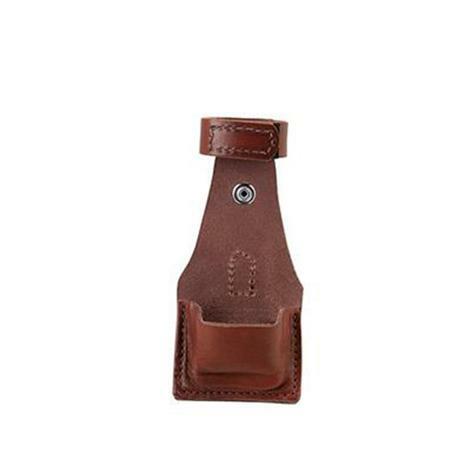 The smaller size fits right in your pocket and makes for a great show day companion or daily use tool. Versatile enough to be used for show day touch ups and cleaning clipper blades. LIvestock shows are hectic enough without any last minute complications. 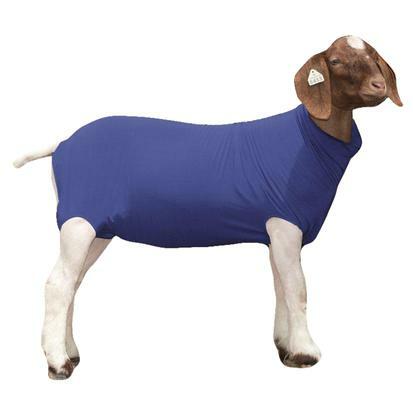 Keep your show goat fresh and clean with a Spandex Goat Tube. This super stretchy tube fits close to the body and is machine washable. The edges are reinforced with double layer binding. 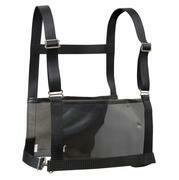 Another livestock show tool from the good folks at Weaver Leather designed around the needs of your goat. Repair your leather or canvas instead of replacing. 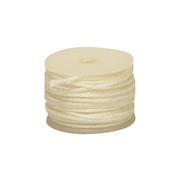 This waxed thread is designed for heavy sewing with an automatic awl. It is heavy duty white thread that is great for working on saddles and tack. Sometimes a complete wash isn’t necessary, but that doesn’t mean you can leave your animal dirty. 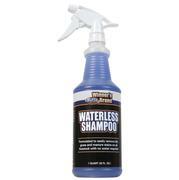 Waterless shampoo easily removes dirt, grass, and manure stains without a trip to the wash rack. This easy to use formula also protects the hide and hair from pigment changes caused by UV exposure and won’t compromise moisture. This conveniently sized bottle even comes with an inverted sprayer for ease of use. Don’t let dead hair follicles accumulate and ruin the healthy appearance of your animal. The Shedding Comb works on both thin and thick hair. The rounded tips of this combs teeth won’t get caught or pull out the good healthy hair. 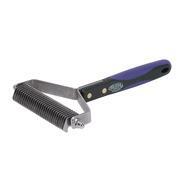 No-slip grip, 4 inch head, and 29 evenly spaced stainless steel teeth. Reaches deep to pull the dead hair from the undercoat for a smooth overall coat. This is a product for those ready to up their grooming game to the next level. 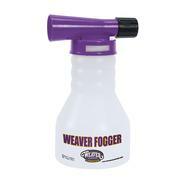 The Weaver Fogger attaches directly to a blower nozzle and produces a fine mist. It is easy to use and an efective application technique for liquid products that need to be applied in a careful and controlled manner. Keeping your brushes clean is important for the health and appearance of your animal. Weaver has made it a snap with a self-cleaning 4 inch wide brush. 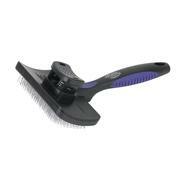 With the push of a single button all hair and wool trapped in the brush quickly can be removed, saving you time and effort. 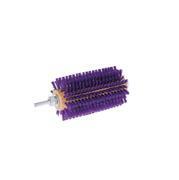 This brush also performs, reaching deep to separate and untangle while building volume and smoothing. The no-slip grip and stainless steel teeth help you quickly build the appearance of bigger leg bones and smooth out any lines. 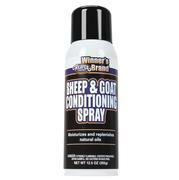 Ideal for use with clipped goats and shorn or clipped sheep and lambs. This is a product designed to produce a bright white coat and hide while producing a feel that the Judges are looking for. Any pigment irregularities of stains can be all but obliterated with this product. Simply apply in multiple coats, remembering to brush the powder in and allow drying time between coats. This whitening and brightening powder has a softening effect for a fresh feel that is ideal to the touch.